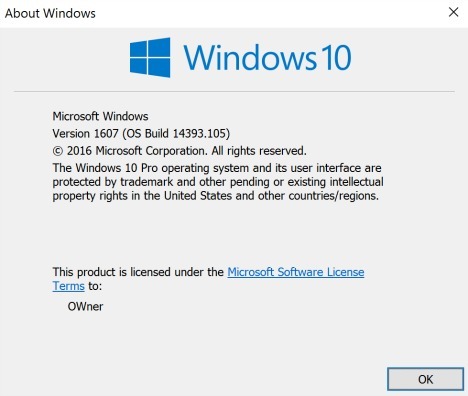 Microsoft has released the latest cumulative build 14393.105 to Windows 10 PC for Insider members in the Release Preview ring. The roll out of the new cumulative build comes with number KB3176938. The latest update mainly focus on bug fixes and improvement for Windows 10 Anniversary Update. 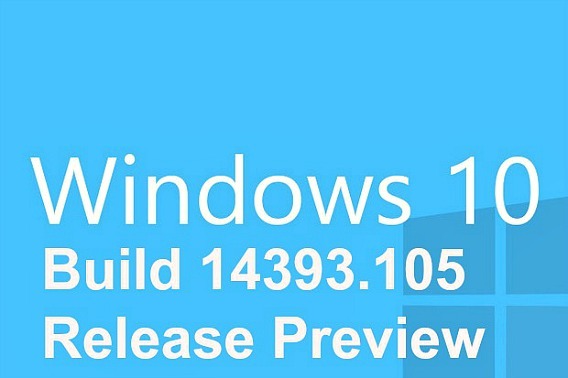 It also minor improvement for cumulative build 14393.103 which Microsoft released last week for Release Preview and Insiders members in Slow ring. Improved reliability of the Windows Ink Workspace, Microsoft Edge, File Server, Windows kernel, Microsoft Component Object Model (COM), Cluster Health Service, Hyper-V, Multi-Factor Authentication (MFA), NTFS file system, – PowerShell, Internet Explorer, facial recognition, graphics, Microsoft Store and Windows Shell.